Play sets come in all shapes and sizes, but the most common designs have a single structure for the main play area. Our unique one-deck play sets are loaded with play value and come in a variety of deck heights and materials. 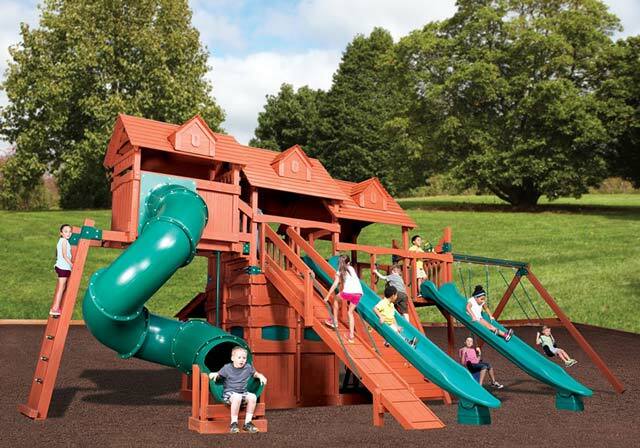 Our play sets are always built with the highest quality so families can play together. Many families need a play set with two decks for different ages of children or for more play space. Two-deck structures come in a variety of styles, giving you more flexibility for added accessories. These play sets can have multiple deck heights or a combined, huge play space at a single deck height. Play systems with multiple structures connected together create the ultimate play experience. You can combine all kinds of deck heights and styles to create a truly unique play experience. Our fort decks range in height from 5' to 8.5', giving you unlimited possibilities for your multi-deck play set. 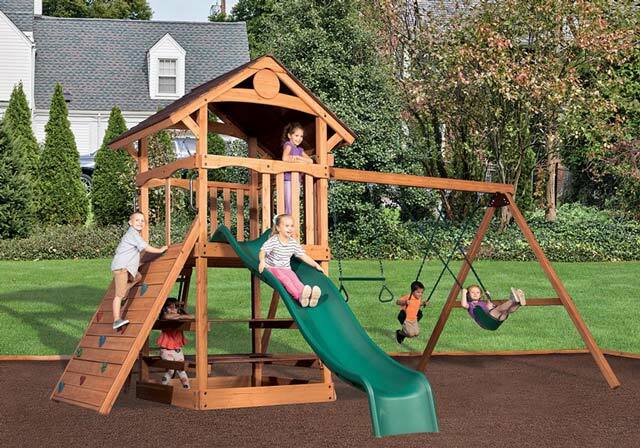 Quick-ship playgrounds are almost always in-stock and ready for immediate shipment. 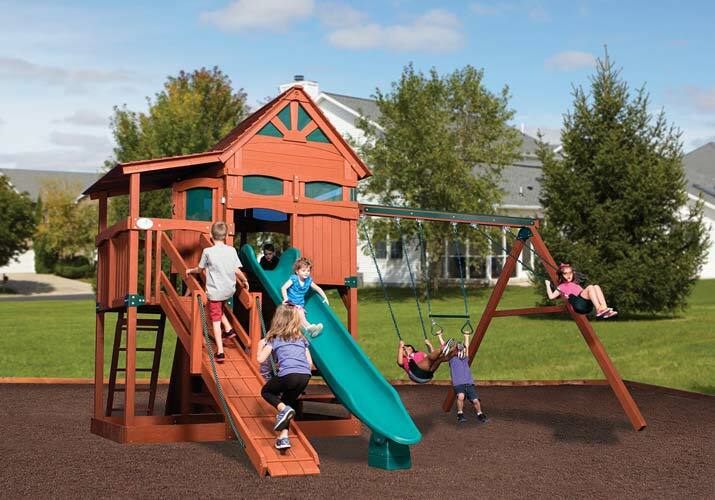 These high quality playgrounds come in a pleasing earth-tone color pallet and are available in a variety of configurations. 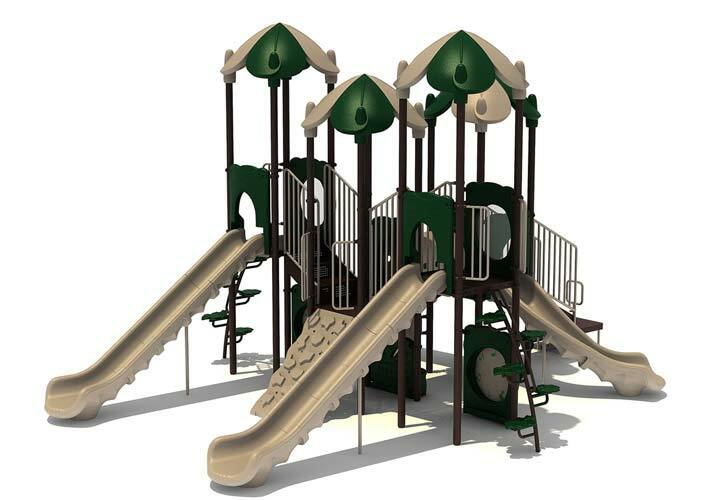 Plus, you have three installation layout options for each playground unit. Quick-ship play systems are loaded with play value in budget friendly designs. Custom built playgrounds require 6-10 weeks for production, but are worth the wait! 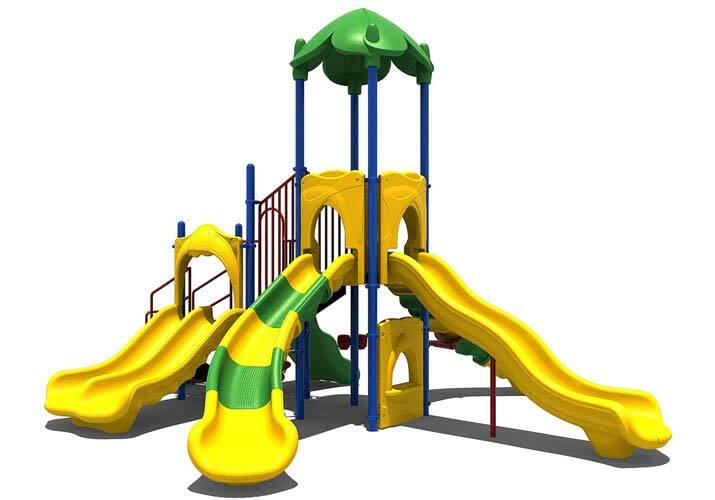 These play systems are the highest quality playgrounds available, and come in many different colors, prices, and styles. Custom play sets include structures with 3.5" or 5" solid posts and many of our units are manufactured in the USA. Give us a call to learn more about our unlimited color combinations. Shade is an important part of safe play in many areas. 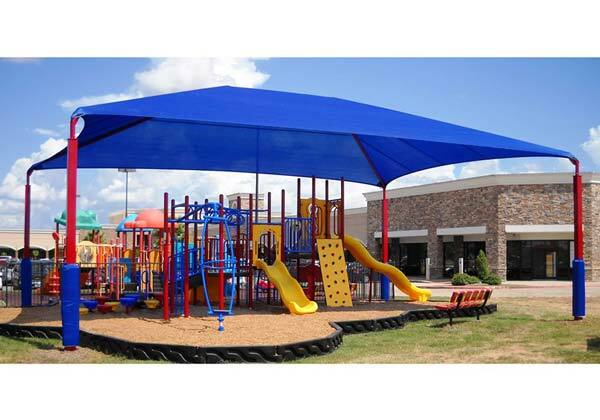 Our shade structures come in a variety of colors and styles, including full cantilever, hip-roof, and pyramid structures. With so many sizes of shade structures and several different styles to choose from, we have shade options for almost any budget and space requirements. Plus, check out our playgrounds with built-in shade! Just Play. Laugh. Enjoy the outdoors. Our swing sets, playgrounds, and accessories are constructed with the highest quality materials available. And of course your safety is our top priority so you and your family can enjoy a lifetime of outdoor fun! Thank you for considering Backyard Adventures.